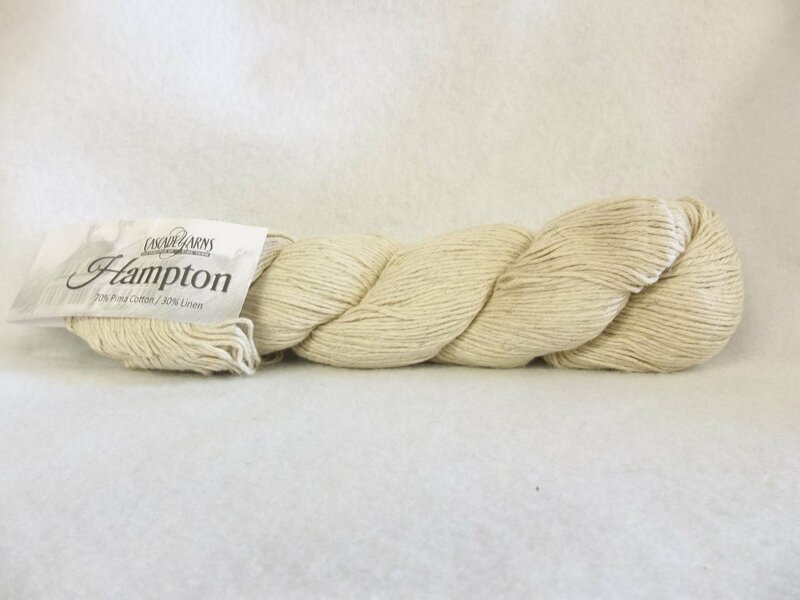 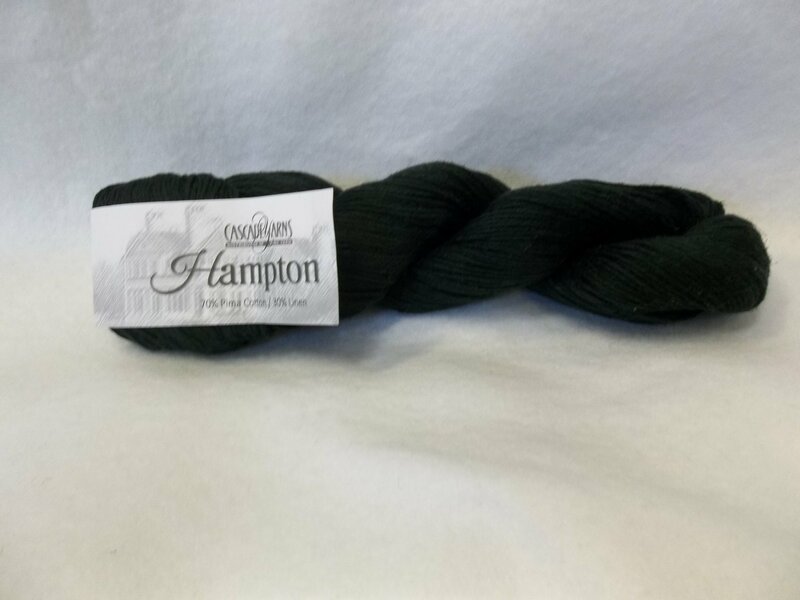 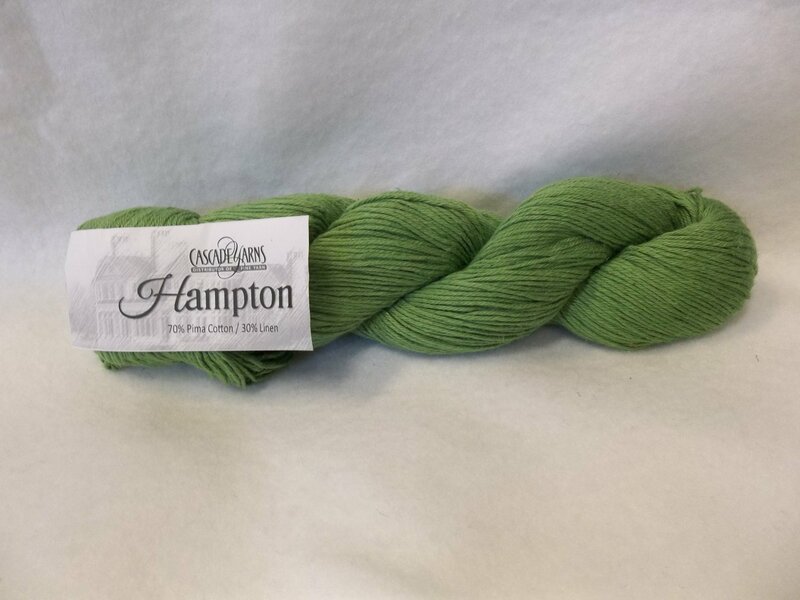 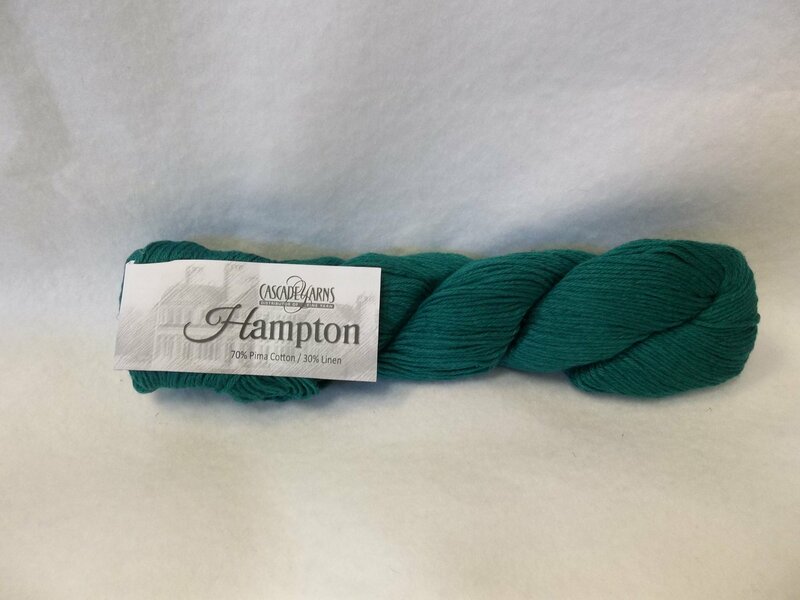 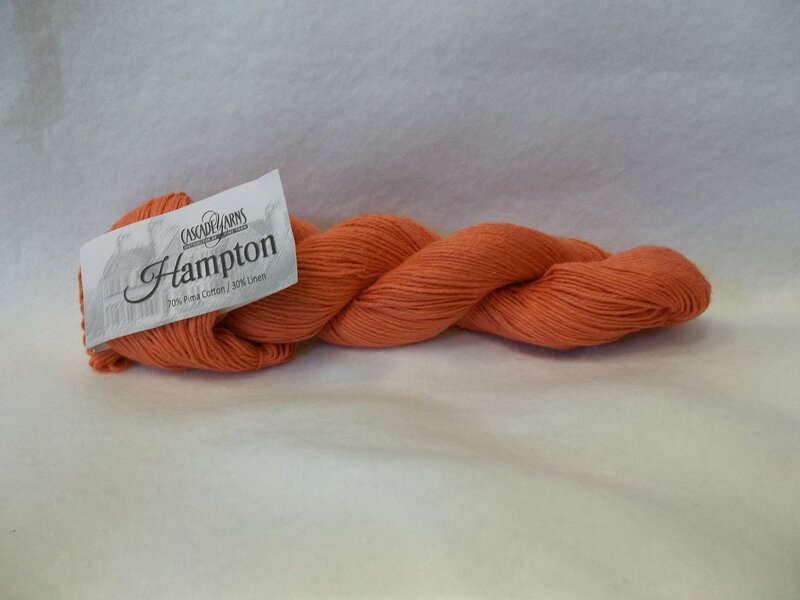 Hampton is a 70/30 cotton and linen blend. 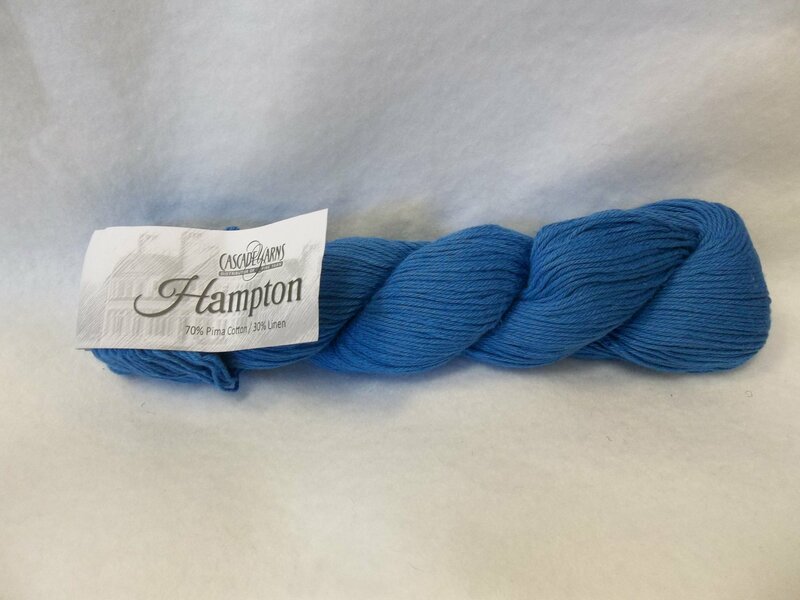 Each 3.5 oz/100g skein contains 273 yds. 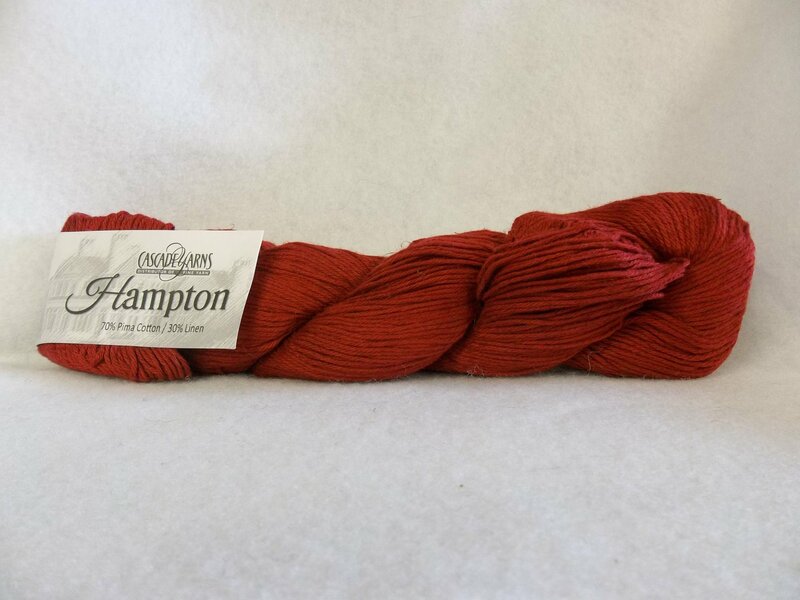 On a US 5-6, Hampton knits to 22-24 sts. 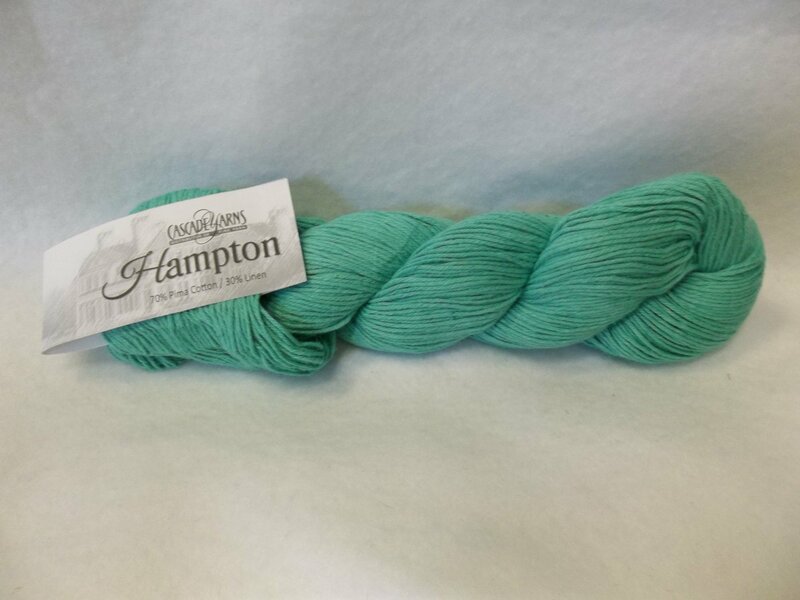 per 4 inches. 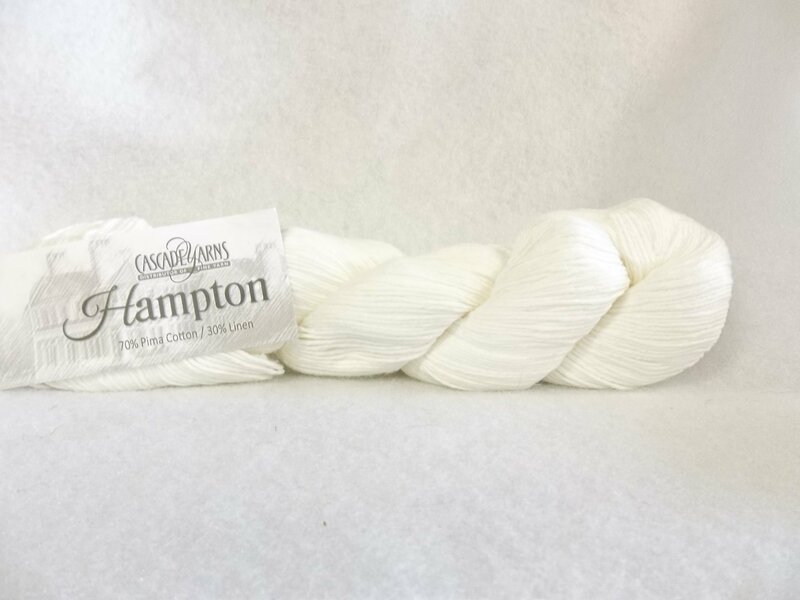 Machine wash cool, lay flat to dry.